Unfortunately, ADHD is one of the most misunderstood of all conditions. Many people I’ve spoken with express the belief that ADHD isn’t real or that “everybody has a little ADHD these days.” Both of these statements are inaccurate and unfortunately, have the potential to harm women whose lives are influenced daily by ADHD but are unaware of the effects it has on them. Does this sound familiar: You can’t seem to concentrate for long enough to follow a complete conversation without drifting off; you have a million ideas rushing through your mind at the same time and you can’t seem to narrow in on just one of them; you rarely arrive on time; you have a closet full of projects that you’ve started and never finished (including overdue bills and last year’s income tax return); and your house looks like it was hit by a tornado. If this sounds familiar, you could be a woman living with undiagnosed ADHD. If you are living with any of these difficulties, you may very well be a woman with undiagnosed ADHD. It is difficult to accurately estimate the number of women who live with ADHD and have never been diagnosed. However, the number of adult women in the US whose ADHD has not been identified and treated is estimated to be in the millions. ADHD is a biological condition affecting the chemical makeup of the brain. One of the chemicals most influenced is dopamine, which is important for concentration, attention, and regulation of behavior. Other chemicals that can be affected in ADHD include norepinephrine, epinephrine, and serotonin. Unidentified and untreated ADHD has a significant impact on women. Women with ADHD are less likely to fit the common stereotype of hyperactive behavior seen in males who have ADHD. Their symptoms are much more likely to be internal, including daydreaming, difficulty focusing, impulsive decisions, and challenges with organization and follow-through. Women with undiagnosed ADHD often struggle with feelings of low self-esteem, anxiety, blame, and guilt at their perceived shortcomings. Despite trying as hard as they can, they can’t seem to achieve the ideal of a well-ordered home and perfection as a wife and mother. They know they are doing their best, but they still feel inadequate and isolated. Years of self-doubt and unfulfilled expectations drastically decrease their feelings of self-efficacy – a women’s belief that she can “get the job done” in her life. They isolate themselves and try to hide their suffering from their friends and families. They may go through their lives feeling as though they are “faking it” and try to hide their shortcomings and feelings of hopelessness and despair from everyone. Women may not even consider the possibility that they have ADHD, instead attributing their symptoms to any one of a number of other things such as poor motivation, the stress of modern living, and having too much to do. Since ADHD often co-occurs with other conditions such as anxiety and learning disabilities, many women may misinterpret the symptoms of ADHD as indications of other difficulties. We now have a much better understanding of adult ADHD in women and are able to more accurately identify and treat the condition. Managing ADHD symptoms provides significant improvement in the quality of life and feelings of self-efficacy and pride in women who have suffered in silence – many of them for decades. Take this short quiz to see if you have symptoms associated with ADHD. 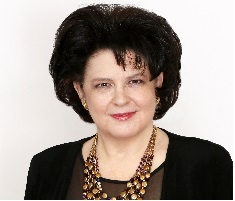 ADHD coach and board certified educational therapist, Dr. Kari, helps women conquer their biggest ADHD challenges. She assists women in getting focused, organized, and motivated so they get unstuck, finish what they start, and accomplish more every day! 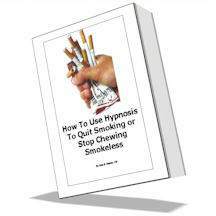 Free e-Book includes numerous mental exercises designed to help you eliminate your cravings and obliterate your compulsions without increasing your appetite! Grab It Now! – Free Download!